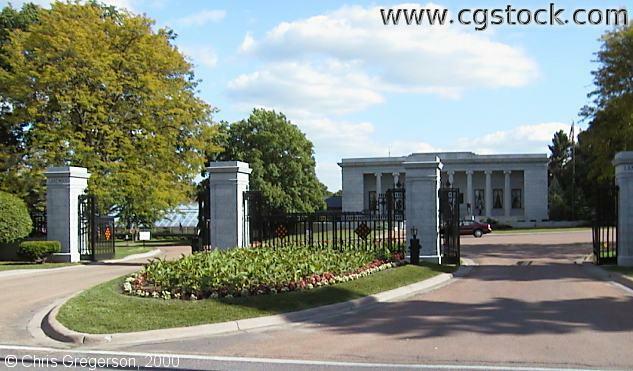 These are the gates at the entrance to Lakewood Cemetery. You are looking south from Hennepin Avenue and 36th Street. This cemetery is a hundred years old or more, is very large and well kept. Many prominent citizens are buried here, from early industrial barons to depression-era governor Floyd B. Olson and former Senator Hubert H. Humphrey.